The roots of cooperatives can be found in the era of industrialization, when the newly developing industry needed to satisfy its labour demand. Suddenly, cities were offering jobs and attracting people from the countryside. While the peasant life was tough and dirty, cities were promising prosperity and glory. Of course, the glamorized urban life was lived mainly by the aristocracy and the migrants from countryside had no other choice than to work as a cheap labour in alarming conditions and to live in the poverty again. The early stage of capitalism was ruining working class life and resulted in the need of cooperation. Although the first ideas of collective action and community institutionalization emerged in Germany, the true cooperative pioneers were from England. In 1844 was established Rochdale Society of Equitable Pioneers, a group of 28 dissatisfied textile workers from Rochdale. The aim of the Society was to defend the rights of working class as well as to fight for higher salaries. Rather than to strike and become violent, the members of the Rochdale Society of Equitable Pioneers focused on benefits rising from the cooperation among community members. The cooperative was building houses for its members as well as was selling goods for fair price. The work and action of society was based on the set of principles, among other: self-help, responsibility, democracy, equality, solidarity and justice. These principles are used until today and are officially recognized by International Alliance of Cooperatives (ICA). While western cooperatives were empowering small-scale farmers, the purpose of soviet kolkhozes was to fight against them. The Communist Party of the Soviet Union was not favouring private agriculture because, according to Lenin, small-scale production was an engine for capitalism and bourgeoisie. Literally, the collectivization and kolkhozes represented a remedy for the problem called “capitalism”. Of course, cooperatives were always bearers of socialist ideas, but the Soviet regime rather exploited the principles and used them to their own advantage. Although Soviet government proclaimed the ownership of peasants over the cooperative, in fact, it was maintained by the state through the designated kolkhoz chairman. Members were treated more like employees, paid according to their proportion of work and very often in kind. The yields were bought out by the state at fixed price which was generally very low, bringing higher revenues to the state rather than to the kolkhozes. Lately, the government also set production quotas for each crop. Finally, kolkhoz members were deprived of the right to leave. Until 1969, when the law has been changed, the children born on the collective land were obliged to work there as adults, allowed to leave only with a special permission. The very same situation was in Georgia, where cooperatives “in modern sense” were practically non-existent until 2013. Even though Georgian agriculture used to be pride of the whole Soviet Union, historical events of 1990’s and economic transformation caused decline in the food production and literally ruined the whole agricultural sector. Georgian government have started with the agricultural reform immediately after gaining independence in 1991. The land reform was based on the land restitution and privatization. However the idea of land redistribution was honourable, it was not functioning at all. Suddenly, the large-scale agriculture disappeared and was replaced by small-scale farms oriented more likely towards subsistence production. The huge parcels were crumbled to small pieces of land, no bigger than 1,5 ha. From the food exporter became food importer. While in 1990 agriculture was contributing to GDP by 30%, in 2017 the share of agriculture on GDP was only 9,6%. Still, agriculture sector employs more than half of population. Although functioning agriculture system is a key for economic growth, Georgian agriculture fell into oblivion. In 2009 Georgia became a member of Eastern Partnership, EU initiative which was supposed to result into the signature of Association Agreement, which would (among other benefits) result to increase of market access between Georgian and EU. At the first sight, it might seem very beneficial for Georgia but it could be actually really harming for its agriculture. 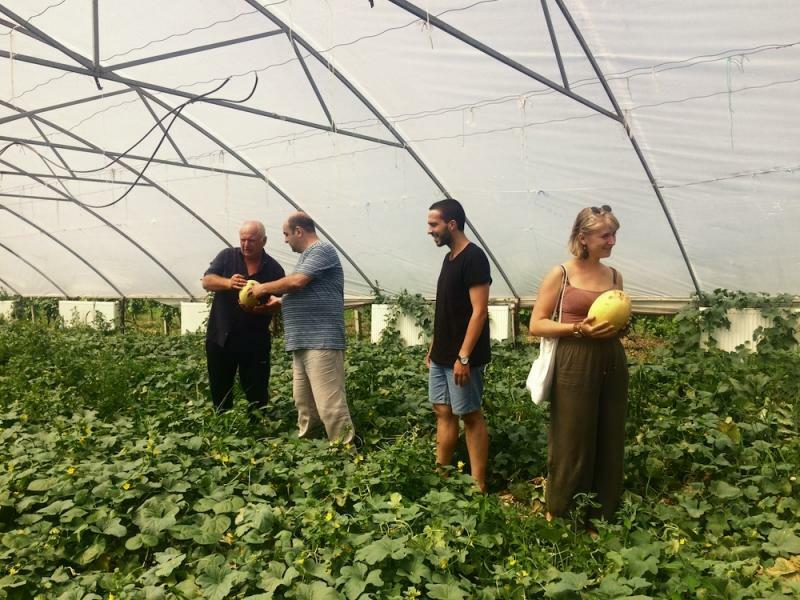 Georgian agriculture is not only malfunctioning, it also does not fulfil the hygienic norms set by EU. Therefore, the Association Agreement might not have necessarily brought any advantage to small-scale farmers. They would not be able to export their produce anyway. Instead, Georgian food market would be flooded by cheaper European goods. It was obvious that the local agriculture needs heavy modernization which would not be possible without governmental support and external funding. Therefore in 2012, when Georgia started the negotiation of Association Agreement, agriculture rose to the top of the governmental agenda. And surprisingly enough, government started to mention also cooperatives among other tools for agriculture modernization. FAO and EU through ENPARD, European neighbourhood programme for agriculture and rural development, were the most important actors of the cooperative rebirth. In 2013 Georgian Ministry of Agriculture (with the financial and expert support from the EU and FAO) started the massive campaign focused on cooperative development. 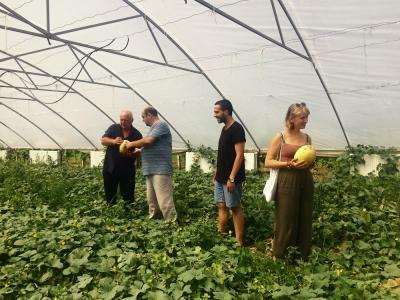 In the same year, Government of Georgia finally passed a law on cooperatives and there was also introduced Agricultural Cooperative’s Development Agency aimed at supporting the process of cooperative establishment and capacity building. However, Georgian farmers were hostile to the cooperatives as the negative connotation to the Soviet Union’s kolkhozes was still vital in the society. Even though the financial support and capacity building were primarily focused on the formation of cooperatives and the modernization of agriculture, substantial part of the budget was also spent on the campaigning and awareness raising. It was hard to explain to the farmers that “modern” cooperatives have nothing to do with the kolkhozes, that no one is going to take the land from them and that cooperative is a business like any other. It was absolutely crucial to highlight the importance of cooperation and collective action, which is always more efficient than the action of an individual. Finally, it had to be emphasized that cooperatives might lead to the economy of scale, increased market competitiveness and ability to get subsidies and other support from the government and development organizations. One of the organizations using ENPARD funds for cooperatives promotion is People in Need (PIN), development NGO based in the Czech Republic. PIN’s projects, implemented also in the cooperation with Czech Development Agency, can be found in Terjola region, where the NGO become an important actor. This importance is, however, very specific as it is not caused only by the direct support to the food producers, but also by PIN’s Czech origin, carrying a very specific form of comparative advantage in cooperative promotion. Although Czech Republic (Czechoslovakia) have never been part of Soviet Union, it still belonged to the Eastern Block, where the credibility of cooperatives is damaged in the very same way as in Georgia. Shared history and understanding of the kolkhoz meaning can play a vital role in advocacy for cooperatives – if one country with the Soviet history could cross the shadow of Soviet kolkhozes, why would not it be for example Georgia? PIN’s effort seems to be successful and the cooperatives supported by the NGO have become prosperous, building their own networks of suppliers and buyers. Note: The article is a part of the DevEd project ‘Development Cooperation First Hand’, supported by Czech Development Agency (CzechAid).